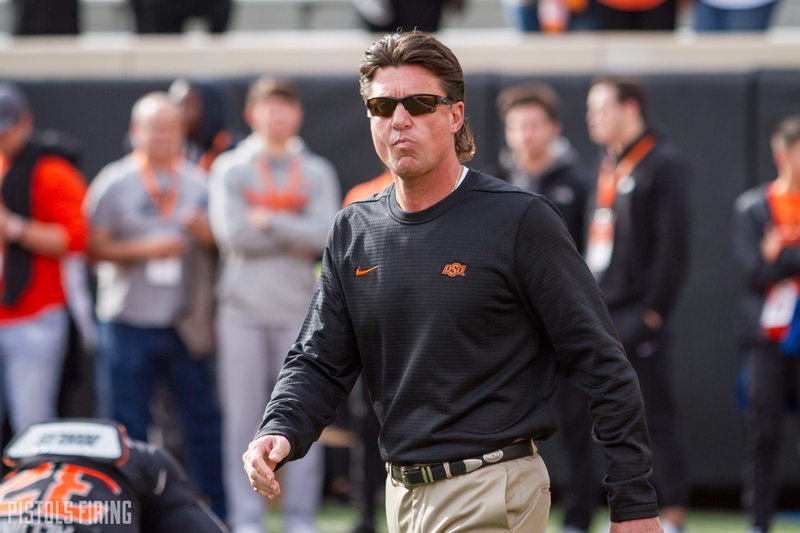 Less than 24 hours after his offensive line coach Josh Henson was reportedly hired away to Texas A&M, Mike Gundy announced his replacement on Twitter. Dickey comes from Kansas State where he has been on Bill Snyder’s staff since 2009, first as O-line coach and then adding run game coordinator to his resume in 2016 and was named co-offensive coordinator in 2018. He coached the Wildcats line throughout. Since his professional coaching career started in 1989, Dickey has coached offensive lines exclusively other than one year as the tight ends coach at Arizona (2003). Needless to say, he knows how to coach in the trenches.